In the history of post-apocalyptic survival/shooter games, few are as fondly remembered as the Stalker series. It’s been over eight years since the last entry in the franchise, Call of Pripyat, but creator GSC Game World has revealed that a new title is in the works. While many will be excited by the prospect of Stalker 2, it’ll be a long time before we get to play it. According to the website, the game isn’t set to arrive until 2021. This isn’t the first time Stalker 2 has been announced. 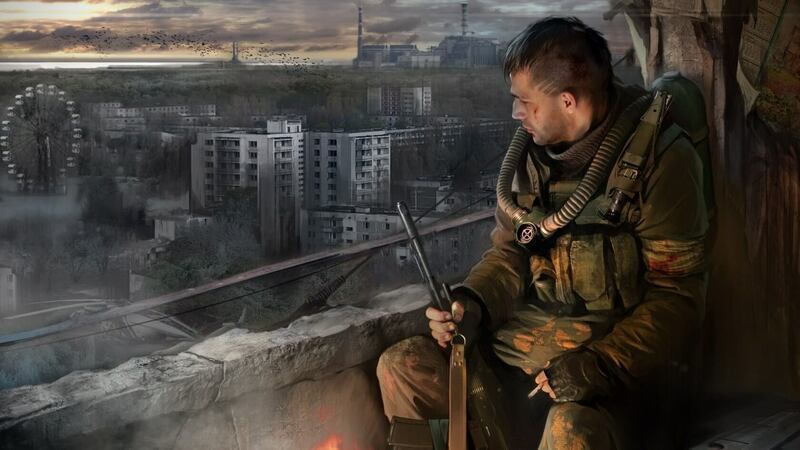 Back in 2010, GSC Game World said it was working on the game and it was schedule to launch in 2012, but a year later, studio head Sergiy Grygorovych shut down the company and work on Stalker 2 because of unspecified "personal reasons." GSC Game World returned in 2014 to announce real-time strategy title Cossacks 3 and speak out against a crowdfunded unofficial successor to Stalker, which was eventually canceled by Kickstarter for undisclosed violations. Since that time, the studio has been pretty quiet. But Grygorovych used his Facebook page to announce the fourth game in the series yesterday. Grygorovych, who also created Steam Spy and works at Epic Games as Director of Publishing Strategy, hinted in at Tweet that the game would use Epic’s Unreal Engine 4. The open-world Stalker games are set in the area surrounding the Chernobyl Nuclear Power Plant, where strange changes are taking place following a second explosion. All three titles are praised for their atmosphere and mechanics and they continue to receive excellent reviews from Steam users.